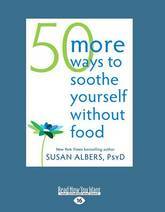 From bestselling author and mindful eating expert Susan Albers. So many people are motivated to lose weight, yet most will fail to maintain healthy eating and lifestyle habits or will succeed for a time, but eventually regain the weight they lose. 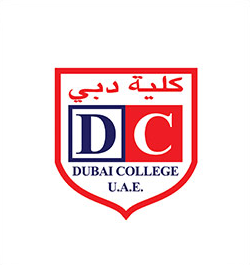 Many more are diagnosed with diseases that can be easily controlled with diet and lifestyle changes that can be difficult to make. Pervasive, insistent thoughts such as I deserve this! and I'm buying these chips for the kids, not for me, and discouraging, self-critical thoughts like Who cares? I'm never going to lose this weight, keep many people in the habit of unhealthy eating. But I Deserve This Chocolate! 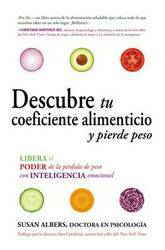 targets the fifty most common self-sabotaging thoughts and habits.  Each of the fifty chapters explains the mentality behind a particular excuse and offers readers a mindfulness exercise for rerouting the thought into a more positive mentality toward oneself and food. This pocket guide is ideal for readers who want to lose weight, those who simply want to eat more healthfully, or people who must maintain restricted diets due to allergies, diabetes, and other health issues. Turn mindless eating habits into mindful eating habits! 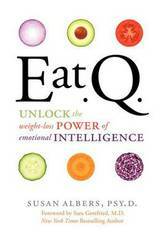 In this breakthrough workbook, Susan Albers-author of Eating Mindfully and the New York Times bestseller, Eat Q-offers powerful mindfulness-based activities and skills to help you stop overeating. Do you zone out while eating? You're not alone! It's easy to polish off a bag of chips or a giant bowl of popcorn while marathon-streaming your favorite TV show. And while indulging here and there certainly won't hurt you, mindless eating can become a harmful habit in the long run-leading to obesity, health problems, and negative body image. So, how can you start making healthier food choices? Using the same highly effective approach as the breakthrough book Eating Mindfully, The Eating Mindfully Workbook for Teens will show you how to deal with the day-to-day challenges of making healthy decisions about food. Instead of resorting to fad diets, you'll learn how to avoid overeating in the first place, be more aware of your body, and really enjoy meals-instead of just popping food in your mouth without thinking. It's not easy to make smart food choices in our fast-paced, fast food culture. This workbook can help guide you, one bite at a time. Teens need mental health resources more than ever. With over 1.2 million copies sold worldwide, Instant Help Books for teens are engaging, proven-effective, and recommended by therapists. Food has the power to temporarily alleviate stress and sadness, enhance joy, and bring us comfort when we need it most. It's no wonder experts estimate that 75 percent of overeating is triggered by our emotions, not physical hunger. The good news is you can instead soothe yourself through dozens of mindful activities that are healthy for both body and mind. 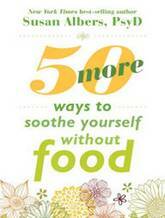 Susan Albers, author of Eating Mindfully, offers this collection of 50 mindfulness skills and practices for relaxing the body in times of stress and ending your dependence on eating as a means of coping with difficult emotions. You'll not only discover easy ways to soothe urges to overeat, you'll also learn how to differentiate emotion-driven hunger from healthy hunger. 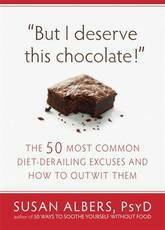 Reach for this book instead of the refrigerator next time you feel the urge to snack-these alternatives are just as satisfying! Why can't so many smart people lose weight? 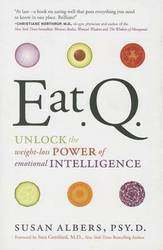 The answer: low emotional intelligence can lock you into a vicious cycle of dieting failure. Dr Susan Albers, accomplished expert in emotional eating and weight loss, has created an accessible three-step plan that will teach you how to combat the most common emotional barriers to weight loss. 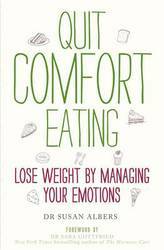 Her EAT plan tackles comfort eating, the pressure of social eating so common in offices, stress-triggered eating, eating to avoid emotional problems and using food to numb trauma. Drawing on mindfulness, Dr Albers provides 25 tools and techniques readers can use to tailor their eating to the demands of their own lives, their preferences and moods. 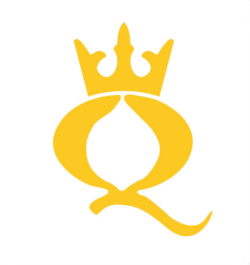 Reverse a lifetime of overeating and comfort bingeing with Quit Comfort Eating. If you're an emotional overeater, you may turn to food to cope with stress and sadness, enhance joy, and bring a sense of comfort. But, over time, overeating can cause weight gain, heart disease, diabetes, and many other health problems. In Fifty More Ways to Soothe Yourself Without Food, you'll find fifty more mindful and healthy activities to help you replace your need to overeat. Based in popular mindfulness practices, this book will show you how to slow down and be present during mealtime so that you end up making healthier choices. In addition, the activities in the book-such as yoga, aromatherapy, and breathing exercises-will help you gain a greater overall sense of well-being and appreciation for your body. If you're ready to stop using food as an emotional crutch, and start feeling healthy, happy, and truly fulfilled, this book offers fifty more ways! 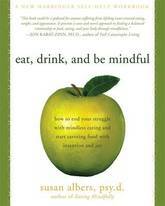 Eating Mindfully was one of the first books to apply mindfulness techniques to eating. Since its publication, new research has emerged linking mindful eating with weight loss and an increased ability to manage emotional eating tendencies. Interest in mindful eating has skyrocketed, and thousands of readers have discovered how slowing down and enjoying food can transform the way they eat. 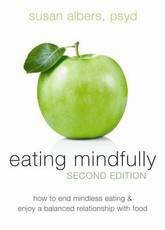 This second edition of Eating Mindfully includes new tips and easy-to-use strategies for staying present when eating, savoring food, and controlling cravings. 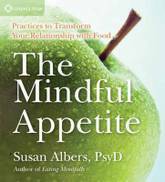 Author Susan Albers has added a new chapter highlighting recent studies on mindful eating and what mindful eating may mean for the national obesity crisis. This straightforward, entertaining guide offers a complete explanation of the four pillars of mindful eating, help for emotional eaters, and mindful eating tips readers can use during every meal, every day. In this book, Dr. Susan Albers, brings her unique approach to college students, their parents, and college staff. 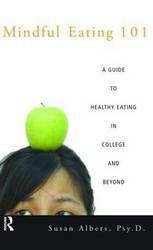 Using the principles of mindfulness, Dr. Albers presents a guide to healthy eating and self acceptance that will help readers navigate the weight obsessed, diet crazed, high pressured, fast food saturated college environment, establishing patterns of eating that will form the groundwork for a healthier life well beyond college. More than a new diet book or collection of superficial self-affirmations, this book gets at issues such as the importance of making informed choices and the value of self acceptance and good health. In this much - anticipated follow - up to 50 Ways to Soothe Yourself Without Food, renowned nutrition expert and New York Times best - selling author of Eat Q, Susan Albers delivers fifty more highly effective ways to help you soothe yourself without eating - leading to a healthier, happier life! If youre an emotional overeater, you may turn to food to cope with stress and sadness, enhance joy, and bring a sense of comfort. 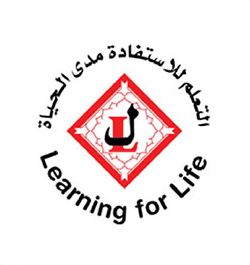 But, over time, overeating can cause weight gain, heart disease, diabetes, and many other health problems. 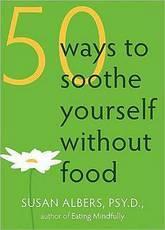 In 50 More Ways to Soothe Yourself Without Food, youll find fifty more mindful and healthy activities to help you replace your need to overeat. Based in popular mindfulness practices, this book will show you how to slow down and be present during mealtime so that you end up making healthier choices. In addition, the activities in the book - such as yoga, aromatherapy, and breathing exercises - will help you gain a greater overall sense of well - being and appreciation for your body. If youre ready to stop using food as an emotional crutch, and start feeling healthy, happy, and truly fulfilled, this book offers fifty more ways!.